The Seneca Nation of New York commemorated the Treaty of Buffalo Creek of 1842 last week, using the occasion to criticize the state and federal government for trying to curb the sale of tobacco. Gov. David Paterson (D) is proposing rules to require tribes to collect taxes on the sale of tobacco to non-Indians. Lawmakers are prepared to go further by imposing taxes on all sales on the reservation. 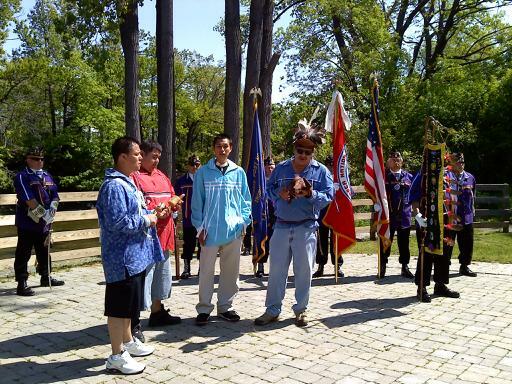 "As we commemorate this anniversary of the Treaty of Buffalo Creek, all people are reminded that a treaty is more than words, it is a sacred bond, and when you break a treaty, you break the law,” said Seneca President Barry Snyder Sr., Business First of Buffalo reported. Meanwhile, the Prevent All Cigarette Trafficking Act goes into effect on June 29. The law prohibits the U.S. Postal Service from delivering cigarettes and certain tobacco products, effectively killing the tribal tobacco industry. The tribe says the law could impact 3,000 jobs on and off the reservation that are connected to the tobacco industry. Prevent All Cigarette Trafficking Act.